3-Season Rooms. Patio Rooms. 4-Season Rooms. Sun Porches. Screen Porches. Open Porches. Gazebos. To us, they’re all just rooms and spaces with roofs…designed and configured to feel as outdoors-y or indoors-y as you want. Decks. Patios. Again, they’re just rooms and spaces without roofs. Not sure how much roof or shade you want over your rooms and spaces? Pergolas are a nice in-between option. Other accessories include outdoor kitchens, fireplaces, firepits, benches, planters, lighting…virtually anything under the sun. In (almost) any combination. So, back to my opening…”words.” There are a lot of words to describe what you can do with your outdoor living spaces today. Particularly because there are so many options…choices. We’re finding more and more that folks are combining the options…the words. Like the second encounter described above, combination projects are becoming more prevalent because today folks desire more than just a slab of concrete or a plank of boards for their outdoor living spaces. Thoughtful design and construction of these spaces is key to their viability as a functional and valuable addition to your home and to your lifestyle at home. The words are important, too. Archadeck – Spaces, Rooms and Accessories for Outdoor Living. If you only remember 8 words from this, I’d recommend that sentence. 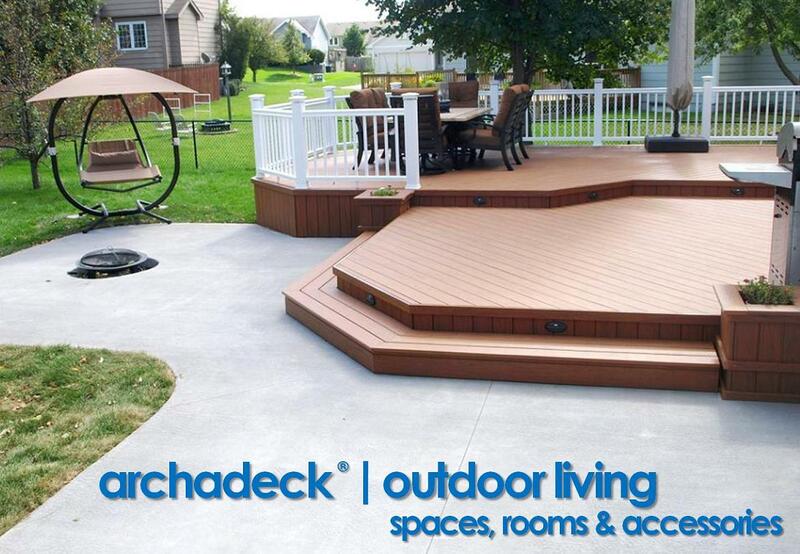 Archadeck of Central Iowa has been providing Archadeck | Outdoor Living design/build services in backyards (and some front) around the Des Moines and Central Iowa area for over 13 years. 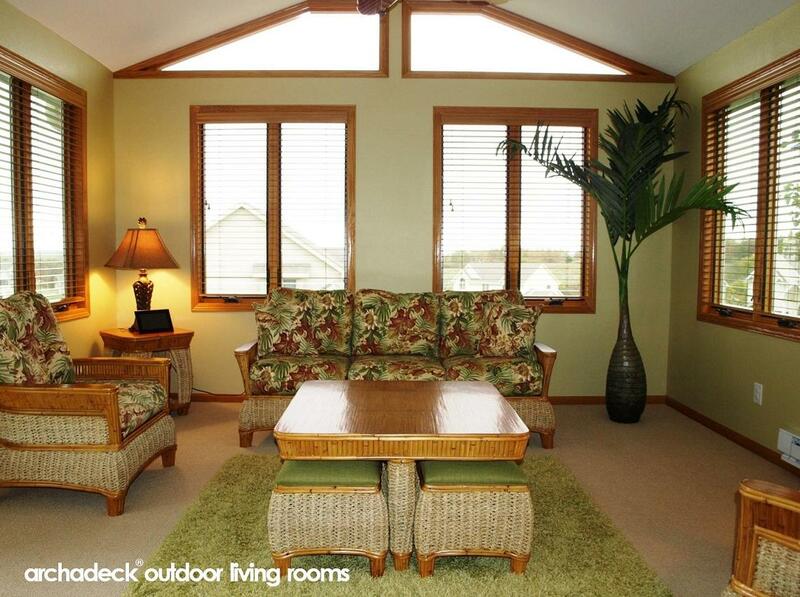 We’re asked a lot of questions…most of them “outdoor living” related. We’re committed to providing answers (in word, number and picture form) and we’ve got a wealth of “outdoor living” related resources to obtain the answers that make sense for the outdoor living space, room or accessories you are considering. And, we’ll make it happen for you. 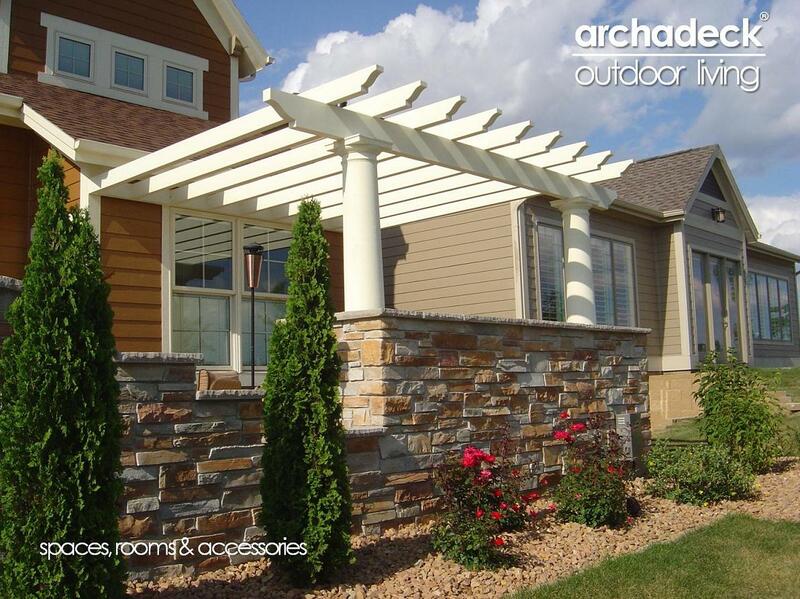 If you have questions, or an outdoor living project in mind, you can call us (515-266-8844) , e-mail us (centraliowa@archadeck.net) or complete the “contact us” form on our web site at central-iowa.archadeck.com. And, this weekend – March 11th – 13th, 2011 – we’ll be out at the Varied Industries Building at the Iowa State Fairgrounds for the Home & Remodeling Show presented by the Home Builders Association of Greater Des Moines (of which we are an associate member); stop out and see us there if you get a chance. This entry was posted in 3-Season Rooms, 4-Season Rooms, Deck Lighting, Deck Railings, Decks and Decking, Home and Garden Shows, Open Porches, Outdoor Furniture, Outdoor Kitchens, Outdoor Living, Patios, Pergolas, Pool and Spa Decks, Porches, Screen Porches, Sunrooms, Wood-Alternative Decking, Wood-Plastic Composite Decking. Bookmark the permalink.